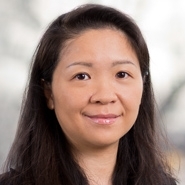 Of Counsel Weiwei Luo (Washington, DC) will be speaking at Chemical Watch's Annual AsiaHub Summit USA, taking place in San Francisco, CA, from February 26 to 27. The summit will address the latest on Asia chemicals regulations, including developments in China, Taiwan, South Korea, Thailand, and Vietnam. Weiwei will speak in a session titled "Phase 2 of China RoHS: The Catalog and the Conformity Assessment System," which will take place on February 27 from 4:15pm to 5:00pm (PDT).